Proudly supporting the Stade Rochelais team for many years now, La Maison Gillardeau strengthened its partnership by opening a private salon at the Marcel Deflandre stadium. For the International Women’s Day, Véronique Gillardeau paid tribute to Marcelle Gillardeau, by presenting Maison Gillardeau's new tasting concept named after the daughter in law of its founder. 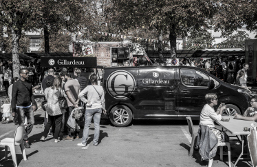 Designed exclusively for Maison Gillardeau with Peugeot Design Lab., La Marcelle is a modern and functional food truck equipped with an oyster bar which can be easily deployed at its rear. 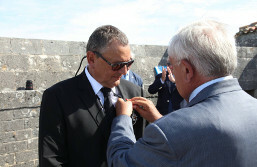 Surrounded by his family, friends and political figures, Gérard Gillardeau received, during an exceptional venue at Fort Louvois, the knight medal from the National Order of the Legion of Honor from Mr. Jean-Pierre Raffarin’s hands. 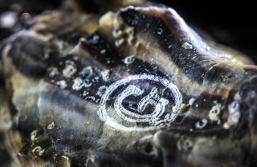 In its fight against counterfeit, Maison Gillardeau decided to equip its packing chain with a laser allowing to brand each oyster with its logo to certify their authenticity. 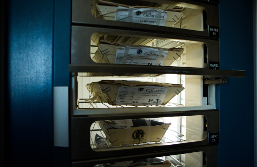 Maison Gillardeau introduced its oysters hampers dispenser. Based next to Gillardeau la Boutique, this dispenser is opened 24h a day. 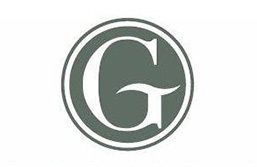 Gillardeau la Boutique opened its doors to satisfy local customers’ demand. 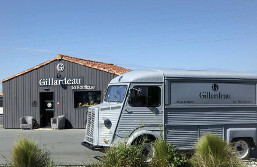 Located at the base of the Oleron Viaduc, La Boutique offers since then a selection of gourmet products from local producers renowned for their savoir-faire, as well as a large choice of daily-fresh Gillardeau oysters hampers. Facing a growing demand for its oysters, Maison Gillardeau opened ten additional nursing parks to reinforce its production capacity. 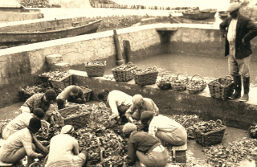 Generation after generation, Maison Gillardeau kept on preserving its savoir-faire for the past 100 years, bringing you the most refined oyster in the world through the commitment of a whole family. Thierry and Véronique join Gérard Gillardeau in this adventure. 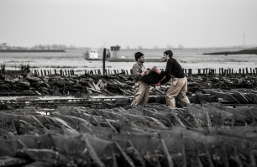 During his time at the head of Maison Gillardeau, Gérard Gillardeau gave birth to the iconic Gillardeau oyster. Oysters lovers quickly associated La Gillardeau to excellence for its recognizable quality and appearance, as well as the generosity of its flesh. 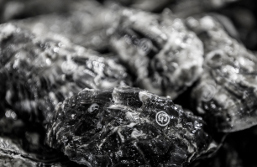 Renowned for their quality, Gillardeau oysters quickly experienced a tremendous success. Maison Gillardeau already delivers at this time its oysters to the Halles de Paris. 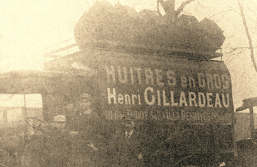 At the end of the 19th century, in the heart of Marennes-Oléron pool, driven by his passion for oyster farming, Henri Gillardeau founded Maison Gillardeau.